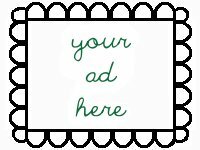 Ulixis Crafts: Another Fall Feature! As a compromise, since I've been slacking so much on this blog and my shop (busy making notebooks for my family, jewelry for myself, and lazing around), I'll be posting another fall spread, featuring a fall leaf jewelry theme. As I've mentioned before, autumn is my favourite season ~ it's a classic season filled with crisp cool mornings, warm sunny afternoons perfect for walks to enjoy the splendid colours and dark evenings to be enjoyed in bed (or under a warm blanket on the couch) with a book, an apple and some hot chocolate. With fall comes back to school, Thanksgiving and Halloween ~ a truly inspiring and creative time of year. But the most remarkable and lovely aspect of fall is the changing leaves, which is what I'm focusing on today. What better way to celebrate the season than to wear a leafy piece? The fall colours are sure to please ~ the neutral and warm reds, orange, browns and greens are perfect for everyday and easy to dress up. Take a look at a few of the gorgeous pieces I found that would look great on you this fall, or any time of the year. First I would like to say a few words on the vibrant red leaves you see at the top. They are called "I heart Autumn" and truly summarize the gist of this article beautifully. 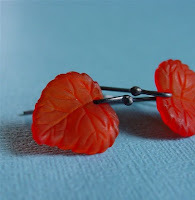 Made by clevergirl, these gorgeous orangy lucite leaves are vintage and the silver hoop is oxidized to make the leaves even more dazzling. And what better way to complete your leafy earwear (and save money on shipping) by doubling up and getting these Teatown earrings, also by clevergirl? Also vintage lucite, these golden maple leaves are stunning. 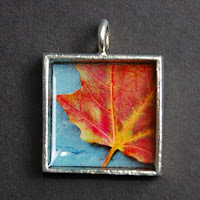 Continuing with the maple leaves (being a Canadian girl, the maple has a special place in my heart ~ there was one in our side yard that we used to climb as kids... the tree is still affectionally known as George), take a peek at this beautiful fall leaf photo pendant. Doesn't it look amazingly life-like? Well, it is a photo, so I suppose it should look somewhat real, but I feel as though I could easily pull the leaf out and change it with another one once it died. But this is much better: it will never die!! The striking interplay of red, orange and yellow will be captured forever for you in this gorgeous little square, made especially by ebonypaws. Isn't it pretty? Has anyone ever seen a tall full maple wrapped in leaves mottled with these exact colours? I have ~ it takes your breath away, just like this pendant. 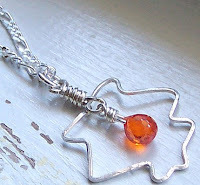 Another fantastic maple leaf can be found in sunnyrising's shop. This golden mini leaf necklace is intricately carved and tooled out of leather to give it a realistic shape. It looks like it has fallen from its tree and come to rest gently on your chest. I love how it's secured by two rings to the chain, so you never have to worry about breaking it accidentally. The bright lacquered gold kissed with orange is sure to add a much needed splash of colour to the staple browns, blacks and greys of your winter wardrobe. 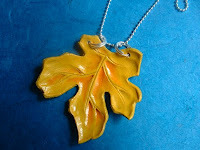 Be sure to take a look at sunnyrising's shop ~ you might find a matching mini spring leaf necklace! Next is this unique "All Fall Down" necklace (with matching earrings in store!) from farafield. The centre of this zany abstract leaf is a simple and stunning cubic zirconia briolette. The drop shape reminds me that the leaf is falling, and the colour is a perfect rich glowing orange. The description of this necklace talks of the fleeting nature of beauty, which is represented well in the thin and insubstantial outline of this leaf. And now you can capture it forever! Quite the show stopper! And last but definitely not least is quite a statement piece ~ and we all know that every girl needs at least one piece of jewelry that screams "this is me". Something big, bold, bright and uniquely you. This piece is one of those pieces. An original design by designalicious, this gold coral charm necklace is a perfect statement for that night out on the town, that fall wedding or any special occasion. And although the warm golden hues remind me a lot of fall, it could definitely be worn year round. What a perfect complement to a little black dress for New Year's or your birthday!! 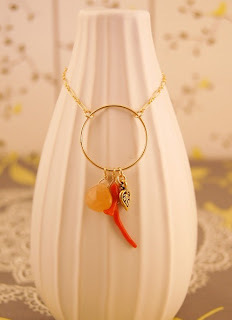 Hanging from the simple gold hoop is a soft orange aventurine briolette, an orange branch coral and a gold leaf charm. 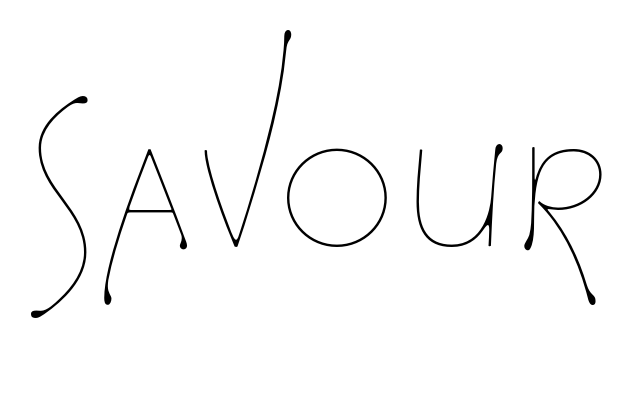 Check it out, make your statement! 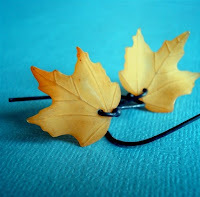 I also wanted to feature a fall leafy bracelet, and though I found a few, nothing jumped out at me. 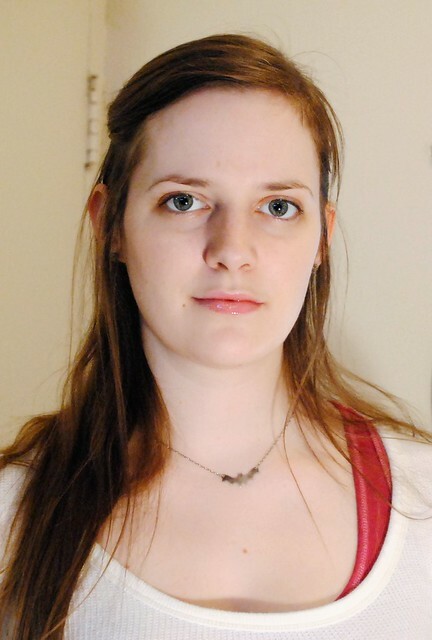 I have featured at least one leaf bracelet before, though, so be sure to scroll down and check out my older features!